Editor’s note: This post was originally published on August 30, 2011. It was substantially revised and re-posted on April 21, 2014. She’s a floral choice as dear as Daisy, as unexpected as Azalea. Thanks to Fran for suggesting Tansy as our Baby Name of the Day – and to Bertram Bergamot for suggesting she was due for an update! Unlike Lily or Rose or many a name from the garden, Tansy doesn’t immediately read botanical. And yet, Tansy is a member of the aster family, native to Europe and Asia. Some of her common names are less than flattering – mugwort, for one – and she’s considered a weed in some parts of the world. Despite her weedy status, she’s really quite pretty – a homespun nature name more akin to wild Willow than elegant Calla. Maybe we should call her a wildflower instead. Plus, Tansy’s reputation as a stubborn, rugged species hints at her appealing meaning. The name ultimately derives from the Greek athanasia – immortality – via the Late Latin tanacita. Like many plant names, she’s been worn occasionally over the years. In the twentieth century, more than five girls received the name about 1/3 of the years from 1900 through 2000. A 1921 British silent film called Tansy featured Alma Taylor in the title role. Taylor’s Tansy is a shepherd’s daughter who finds herself embroiled in a scandal when she’s attacked by a farm laborer. Tansy’s father dies, but she finds work as a shepherdess, and after some more trials and tribulations, there is a happy ending. Maybe that’s why she remains slightly more common in England, where there are a handful of Tansys that come to mind, like 21st century composer Tansy Davies. There’s also a hedgehog in the Redwall series by Brian Jacques who answers to the name. It is possible that Tansy just missed her moment. She brings to mind former favorites, like Tammy, Tracey, and Nancy. It is a lot of name, but Athanasia was worn by a ninth century saint in the Byzantine Empire. My personal favorite is the unrelated – but still very workable – Constance. Tansy makes me think of Tanya, and Tatiana, or maybe the equally Russian Natasha – those those are all more of a stretch. 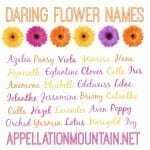 Of course Tansy doesn’t need a formal name. 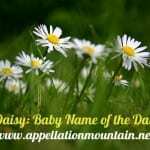 If her weedy associations don’t trouble you, then she fits with other nature babe picks that stand alone, like Daisy – currently ranked #172 as of 2012, or diminutives like Molly and Sadie that have graduated to independent given name status. Other spellings are possible. Hilary Duff played Tanzie, a Paris Hilton-esque character in 2006 big screen flop Material Girls. It’s a flashy spin on the name that provides some distance from the garden, but is in step with modern innovations like Kenzie. Plus, she’s a natural short form if your heart belongs to the Spanish Constanza or German Constanze. If you’re looking for a quiet, unexpected botanical with an informal charm, then Tansy is one to consider. I love this name! There’s a woman called Tansy in my small country town, as soon as she told me her name I adored it right away, and it also felt very familiar to me. The Tansy I know is a strong, resilient country woman so I definitely don’t see this as a juvenile or prissy name. Love Tansy! I was interested in the name Tansy and knew it is a herb. Thrilled that it is also a girl’s name and also in the list for kittens, as I am naming my new kitty Tansy. I think Tansy is a great name, as a nickname or a full name. Similar to Daisy, I can see it on a child or an adult. I love your idea of Constance with the nickname Tansy. I had never thought of that, and I’m not really a fan of Connie. I also love Constanza and Constanze. That is my actual name, I love it as a first name as does everyone who sees it while im at work, and my friends. I honest didnt Kno so many ppl would look at it as a nickname, thats not really cool. I like it so o well what everyone else thinks. The way I see it is that my name is as unique as I am, and that sit fine wit me. I love Tansy! I think she’s so quirky and charming. She reminds me of a British cottage with a big, overgrown garden in front. Very Beatrix Potter. 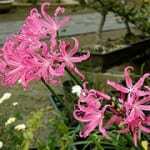 Of course, I’m a Lily, and I love my name, so botanical/cutesy really doesn’t bother me. I know a Tansy she is actually short for Tamsen but her sister could not say Tamsen growing up and just called her Tansy. I knew a Tansy . I haven’t seen her for years, and she would probably be about 20 something now. She was a lovely girl and her name seemed to work very well for her. My older sister has a friend named Tansy. I always wondered about her name, but never looked into it. Interesting NOTD. Ooo, do you get tansies (the dish) Down Under? I thought it was just a regional British thing. Tansy is a name I came across many years ago in a YA book, though I cannot for the life of me remember the name of it. I do vaguely remember that the Tansy character remarked that her parents chose the name for its resemblance to the word “tenacious”. So I always think of tenacious when I think of Tansy, even though it’s quite an overtly cutesy name. Probably because I’m a Julie, stuck with a name that ends in an -ee sound, but Tansy (along with Poppy, Daisy, Pansy and Posy) sounds really juvenile. It’s cute and sweet, but I have a hard time imaging the name on an adult. I just realized I went school with a Tanis who was sometimes called Tansy, but It’s probably been 30 years since she willingly answered to that nickname. Julie, I hear you! But I keep thinking maybe I’m wrong, as I do know plenty of adult women who seemed unscathed by answering to Molly or Amy or Shelley. You know that one teacher that the school pupil population all unanimously hates? Well, the dragon at my secondary school was called Tansy which is why I could never use this name, however pretty it may be because she would be the first person my friends and family members would think of. It’s such a shame for me since Tansy would make for a wonderful alternative flower name to Lily. I associate it with Big Love. Her name always stuck out to me with siblings named Sarah and Ben. You’re right – the character’s name is Tancy! She’s called Teeny an awful lot – I assume because she’s the youngest? I didn’t realize her given name was Tancy – I had it in my head as Christina. Tansy makes me think of The Tansy Patch, the home of one of the main characters in L.M. Montgomery’s Emily series. Because of that, I have a hard time seeing it as a person’s given name (nickname maybe). I agree that Tansy is cute, but works best as a nn for ???. On the other hand, the actress Jessica Tandy used her similar-sounding surname Tandy as her second daughter’s given name. Both Tansy and Tandy sound a bit like baby-talk to me. In 2010 less than 5 American baby girls were given the name Tansy, while in England/Wales 12 girls were named Tansy. I’ve always thought of Tansy as a nickname for Anastasia. I think it’s cute and unexpected, but waay too cutesy to be a full name. Now that works really well! This is actually where I got it from for name of the day. My daughter Neve (Genevieve) has a best friend called Tansy (Anastasia). I don’t believe in ‘weeds’ so I don’t have that problem ;). As far as I’m concerned it’s a magnificent old herb. Like all herbs, you just have to be careful how you use it, and if you don’t know what you’re doing, only take it under the guidance of a qualified herbalist. But you need to ingest it in large quantities before it will do any harm! I cook with it fairly regularly! Tansy was one of my secret “princess personalities” when I was in grade school. I had Tansy picked out as being the sunny happy princess and Phoebe for when I wanted to be a more exotic brooding princess. So funny because I thought I made up using Tansy as a name! I like this one! I immediately picture a little girl with honey blonde curls and bright green eyes. I also hear the word tenacity, which, IMO, is a good quality. I immediately thought of Tansy the hedgehog – quite a strong female character in the series, to boot. I wouldn’t mind naming a child after her. Tansy is one of my absolute favorites! It was on my list but we have a last name that begins with a ‘T’ and I just couldn’t get my husband to consider it. 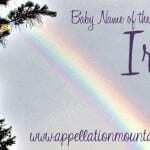 I love the name we chose for our daughter, but when I see a BNOTD like this I can’t help but feel a bit wistful. Lovely choice. For me it does immediately bring to mind the herb — but I’m just that way inclined! It’s one of my favorites — I love the origin of its name; the Greeks called it “athanasia” because legend has it that it was this plant that the Gods gave to Ganymede to make him immortal. Personally, I think it stands perfectly well as a name on its own, though it makes a lovely nickname too; I find it a shame that even in the UK, where we embrace flower names with such verve, Tansy is mostly neglected.